If I’m being honest, I genuinely enjoy getting dressed up – even just for a Target run. But when I’m at home, it’s just way easier to throw on some athleisure attire since most of my day is spent running around the house chasing two little girls and cleaning up after them! I like my athleisure to actually serve double-duty: to look cute if I need to run a quick errand but also function as true workout clothes so I can squeeze in a little fitness at some point during the day. 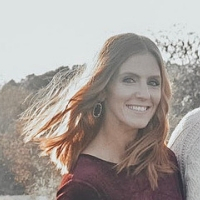 I wanted to share a few of my go-to’s that I wear all the time! 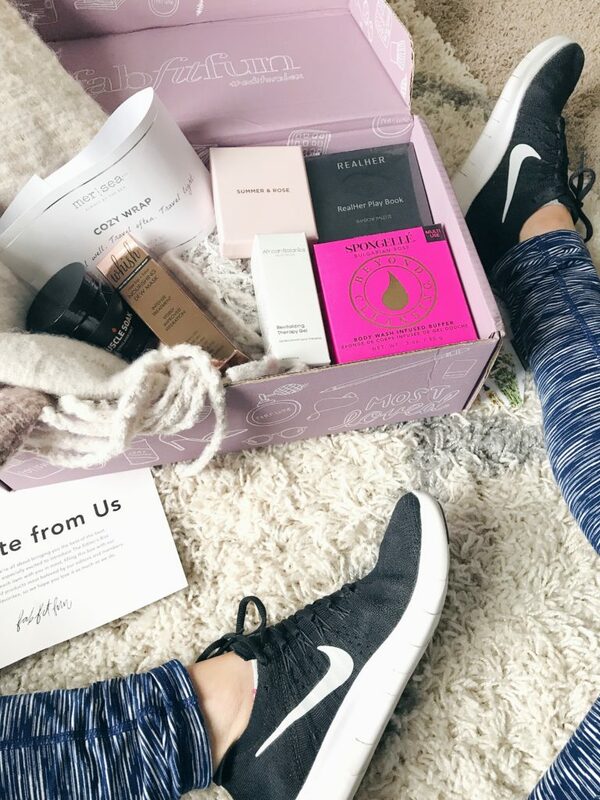 I’m a huge fan of Nike Free’s and we had the chance to check out the corporate store here in Memphis back in the fall, so I snagged a pair of these super cute black and white running shoes that are all the rage right now. I’m not much on wearing sneakers with regular clothes, but these are cute (and way comfortable) enough that I would almost do it! 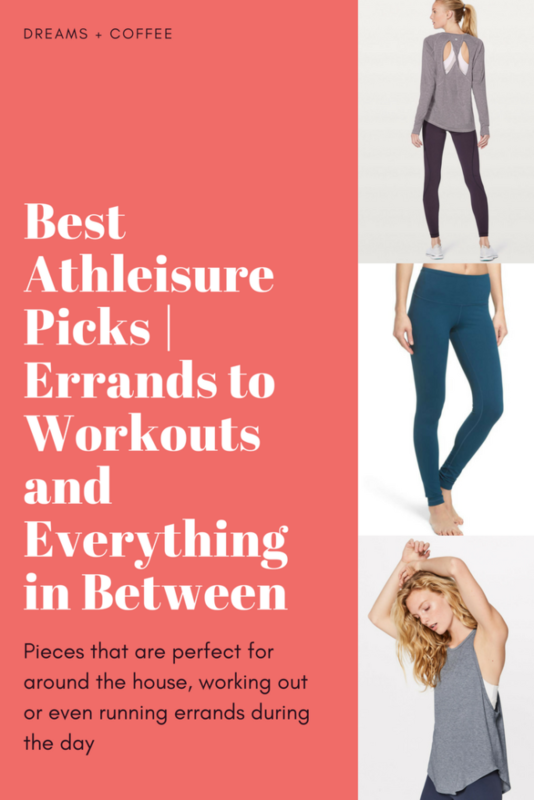 These are basically a cult favorite and for good reason – they’re super comfortable, flattering and almost identical to Lululemon for half the price. Nordstrom seems to get new colors pretty often, too. You can also find these at Nordstrom Rack sometimes – and they’re even cheaper! I got this pair for Christmas and it’s a fun take on the classic black legging – looks almost like leather. I also have a classic black pair and a pair similar to this pattern. I’ve mentioned these before but they definitely deserve another shoutout! I literally wear these every day. They would probably be fine for working out, but I actually wear mine just around the house and to bed some nights. They’re the softest pants I’ve ever owned. Grab a pair while they’re in stock – they sold out after Christmas but looks like they have some now! 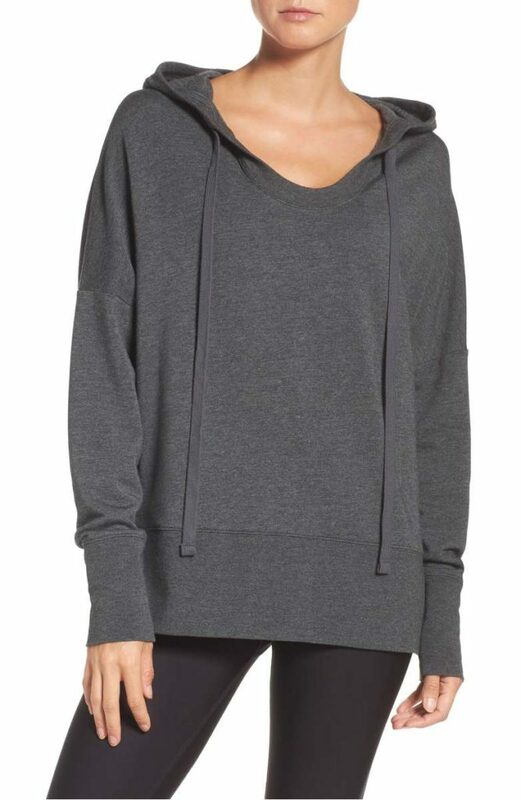 This is a really great basic tank for layering, whether you’re going to barre, for a run or just running errands. 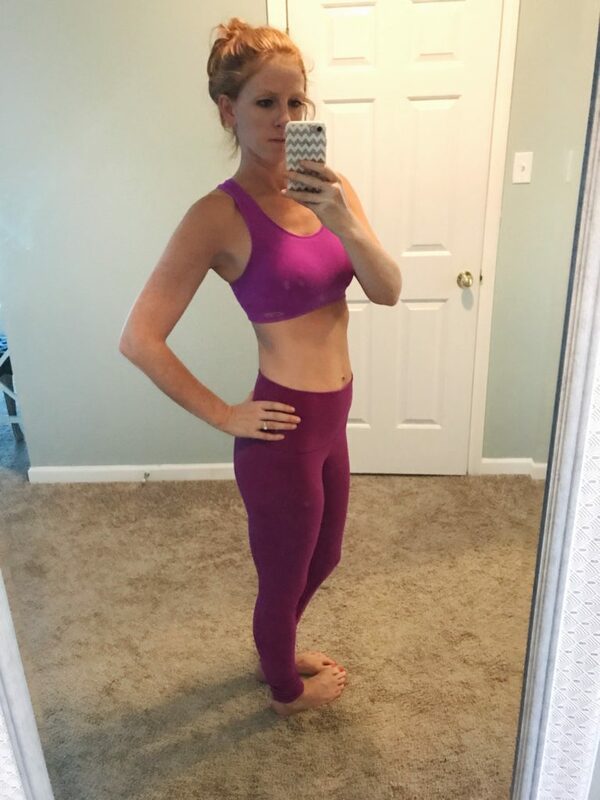 Super cute with a colored, strappy sports bra, too! 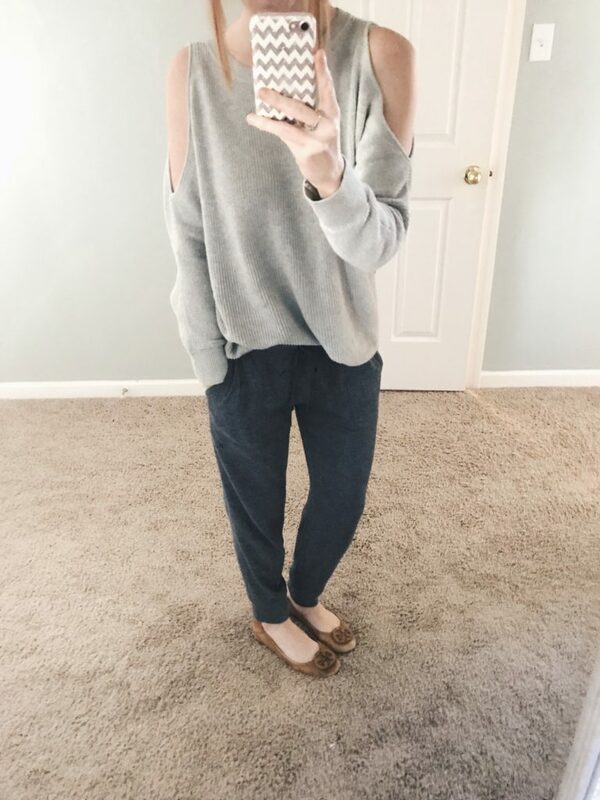 This is definitely one of my go-to’s and it’s also super soft. 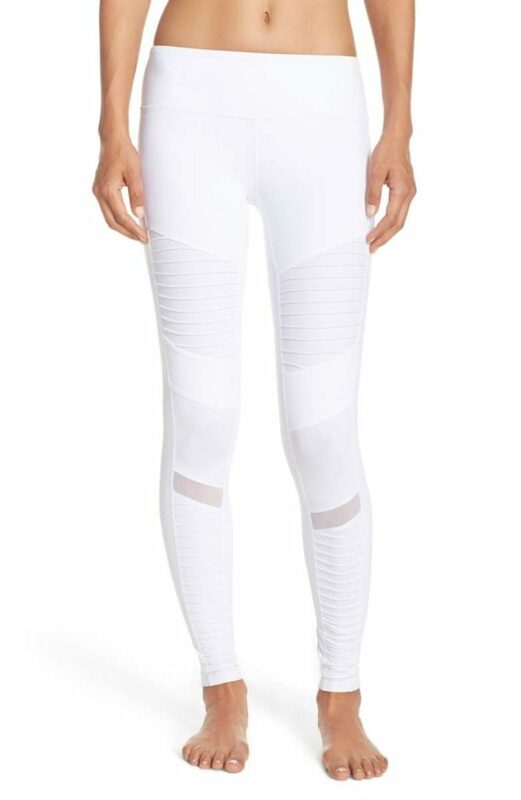 This is clearly NOT meant for working out and I wear it often with jeans, but I’ve also found it works well with leggings, a tank and my Nikes when I’m doing things around the house. 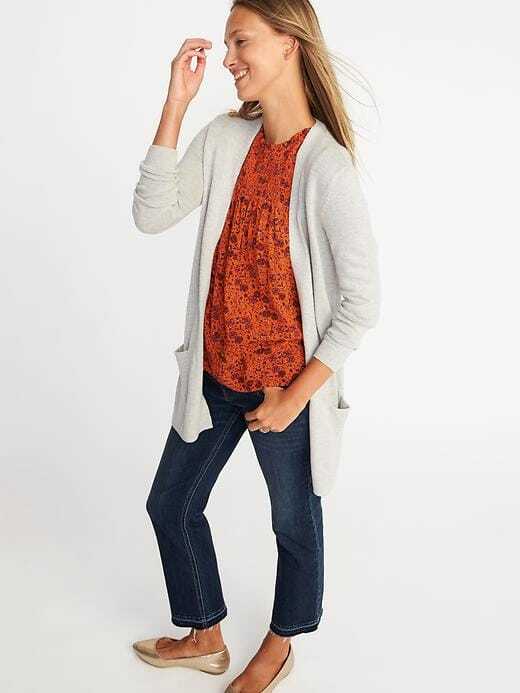 So cozy and versatile – and it’s on sale right now!